February 15, 2017 (Ulson Gunnar - NEO) - North Korea is depicted across US and European media as a backward nation run by a despotic, delusional leader encircled by advisers suffering from irrational, militant paranoia. The nation is also depicted as a prominent security threat in Asia-Pacific despite North Korea waging no wars in the region since an armistice in 1953 effectively ended the Korean War. A despotic, delusional leadership, however, most likely would not possess nuclear weapons, ballistic missiles and a large conventional army and yet restrain its use regardless of decades of provocations engineered along its borders by the United States and its allies within the South Korean government. Likewise, a nation governed by the entirely irrational would be incapable of maintaining, even expanding ties with neighboring states like China. Yet in reality, North Korea has done all of this. 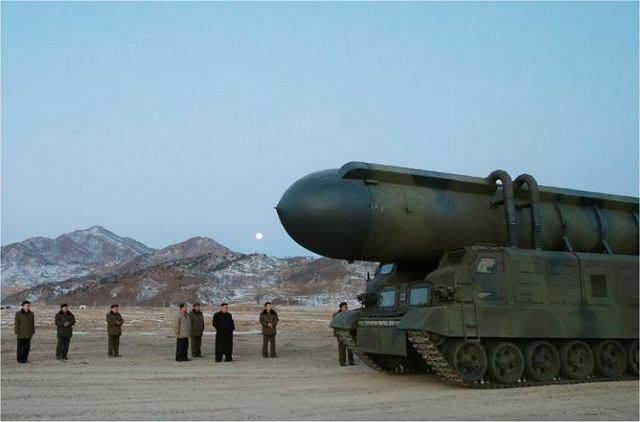 Much of the US and Europe's accusations are predicated on the continued development of North Korea's defense programs including advances in nuclear warheads and ballistic missiles. Strategically omitted from US and European rhetoric are the provocations the West itself is guilty of, spurring along North Korea's expanding militarization. What if, then, North Korea's allegedly irrational paranoia was well-founded? As former North Korean leader Kim Jong-il's health deteriorated, the United States and its regional allies began planning quite openly for an opportunity to overturn the North Korean state. 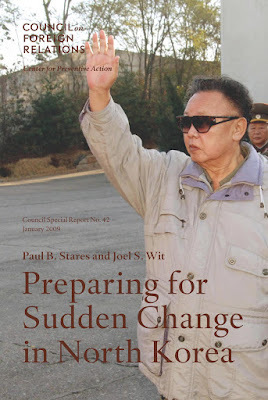 US-based think tank, the Council on Foreign Relations (CFR), would publish a 2009, 60-page report titled, "Preparing for Sudden Change in North Korea," in which scenarios for the full-scale invasion, occupation and subjugation of North Korea were laid out. The report included recommendations for an invasion and occupation force it called a "stabilization force," of up to 460,000 US and allied troops. Considering that, by 2009, the United States had already successfully invaded, occupied and destroyed the nations of Iraq and Afghanistan, it would not be "irrational" at all for North Korean paranoia to reach new heights. The missing ingredients Iraq and Afghanistan had in facing US invasion were substantial defense programs that could deter US aggression. North Korea's possession of increasingly sophisticated nuclear warheads and ballistic missiles means that the price, each year, rises for any attempted implementation of the plans included in the CFR's 2009 report. For North Korea and its ties with Beijing, it is only a matter of time before a certain threshold is reached where US invasion and occupation is all but impossible. After this threshold is reached, it is likely that pan-Asian geopolitics will displace the US almost entirely, if not entirely from Asia-Pacific. 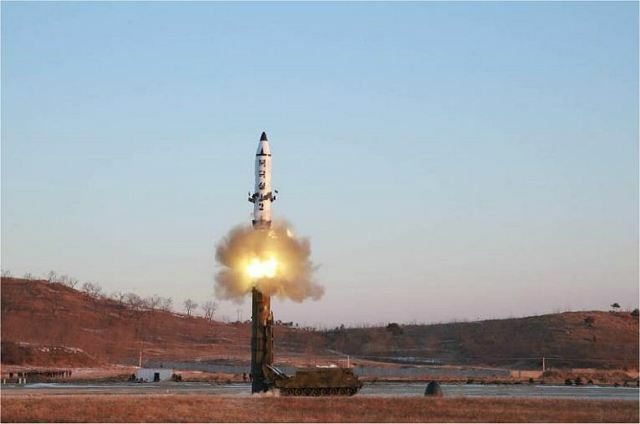 In this context, the recent launching of North Korea's Pukguksong-2 intermediate-range ballistic missile is not as "irrational" or "provocative" as US-European media attempts to portray. It is an attempt to deter conflict, not provoke it. By all accounts, including the US itself (including within the 2009 CFR report), North Korea does not possess the means to overrun South Korean forces or menace its neighbors in Asia-Pacific significantly. Doing so would be greatly destabilizing to its closest allies in Beijing and detrimental to North Korea's own self-preservation. The launching of missiles and the testing of nuclear weapons are not the the actions of a deranged leadership seeking global conflict, but a very rational strategy of deterrence designed to time-out the clock as the sun sets on US Asian-Pacific hegemony. .